Amazon wants a piece of the sky. The online retailer is proposing that air space be designated specifically for commercial drones to help the company realize its dream of speedy delivery by unmanned vehicle. 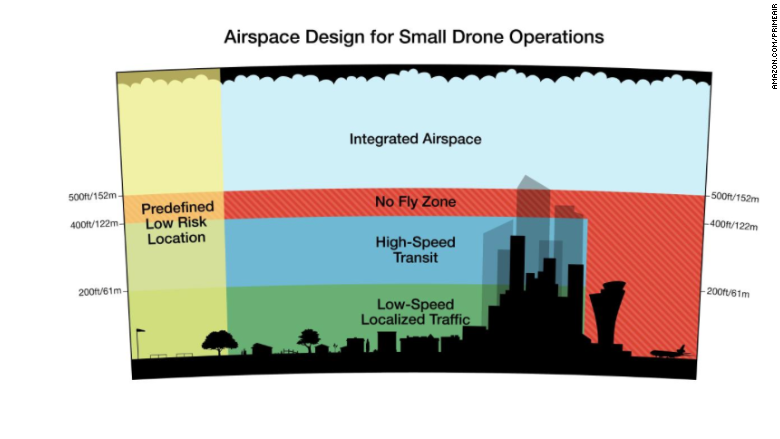 Airspace of up to 200 feet would be reserved for "low speed localized traffic" like survey, inspection and video drones, including those without sense-and-avoid technology. Amazon said the airspace between 200 and 400 feet would be designated "high-speed transit" for "well-equipped vehicles." That's likely where its delivery drones would operate. The space between 400 and 500 feet would be a "no fly zone," except for emergencies. 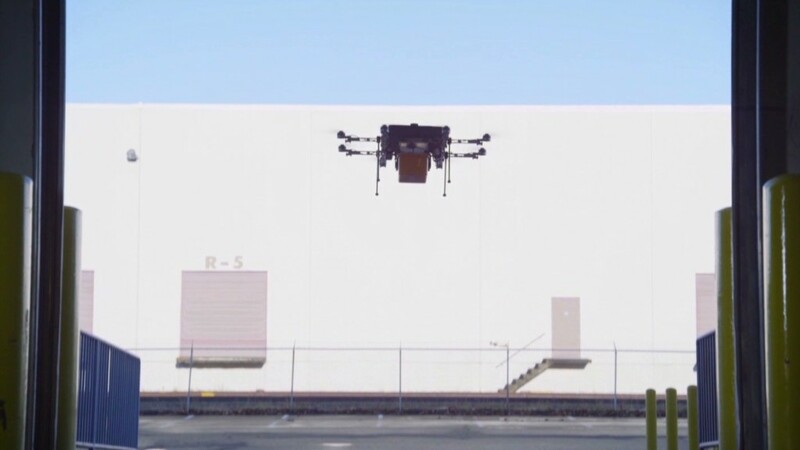 Amazon said that organizing the air space in this fashion takes into account the capabilities of different drones, including recreational drones operated by hobbyists and the more advanced Amazon "octocopters" flying beyond the operator's line of sight. It also keeps the drones away from manned aircraft like planes operating at higher altitudes. The Federal Aviation Administration just started allowing Amazon to test drone delivery earlier this year. The goal for Amazon is to deliver the packages within 30 minutes. The retailer said at its NASA presentation that regulating the airspace is becoming increasingly necessary because of the growing popularity of drones. "In the United States, there are approximately 85,000 commercial, cargo, military and general aviation flights every day," Amazon said. "This number is likely to be dwarfed by low altitude [unmanned drone] operations in the next 10 years."